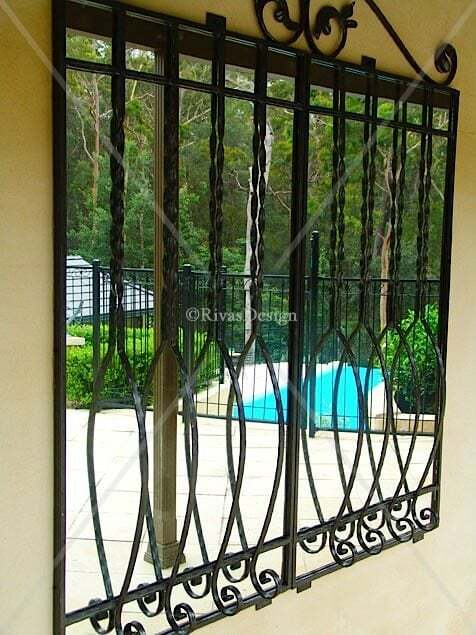 This large wrought iron mirror has been created with twisted iron elements typical of the provincial style you'd find in the lanes of European towns. To continue the the bowed front look, I designed a wrought iron planter as an option to sit beneath this mirror. 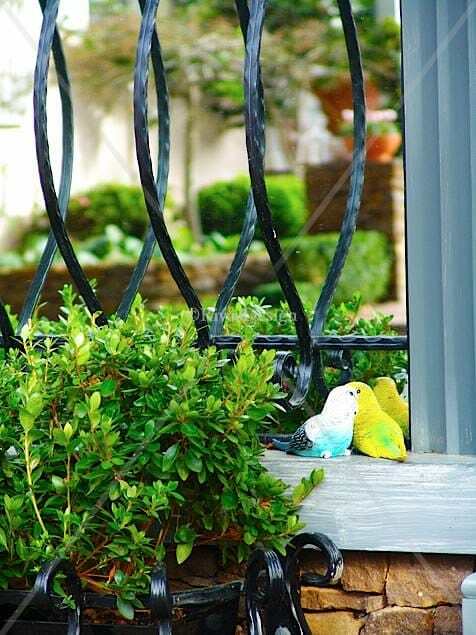 Filled with seasonal plants this brings colour to courtyard or garden spaces. In winter I sometimes have faux evergreens in mine. Yes really – see them in the photos. $100 Freight prices will be confirmed at time of order with at cost quoted. We select fragile freight service for our mirrors. $155 Freight prices will be confirmed at time of order with at cost quoted. We select fragile freight service for our mirrors. 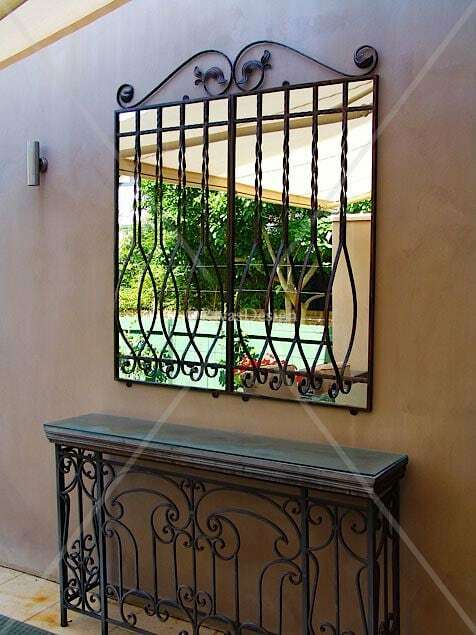 A classic wrought iron mirror that creates provincial style outdoors. 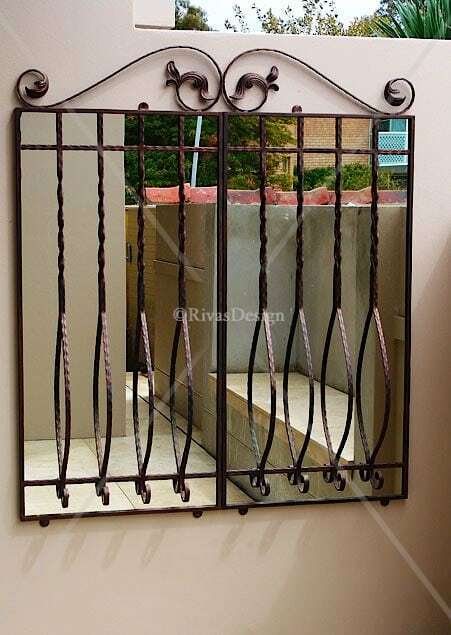 If your taste is French provincial, you can take that outdoors with this Bowed front iron mirror. 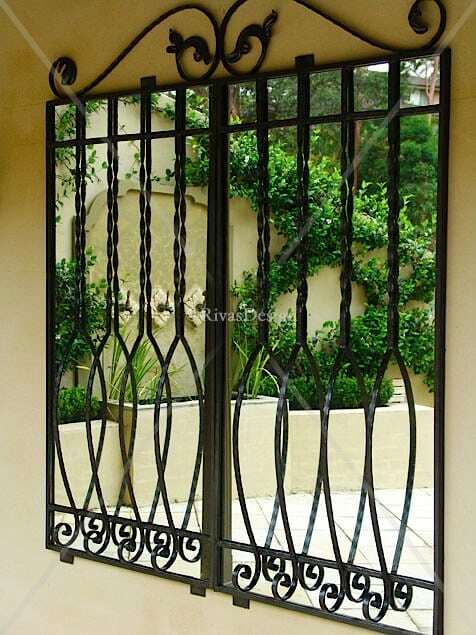 Perfect for settings where you want to catch reflections from inside out and outside in. 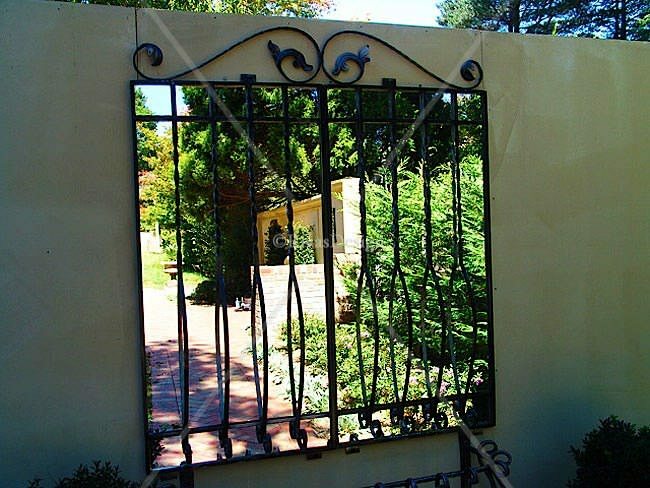 This provincial styled iron mirror has a matching planter, available as an option, to sit beneath it. 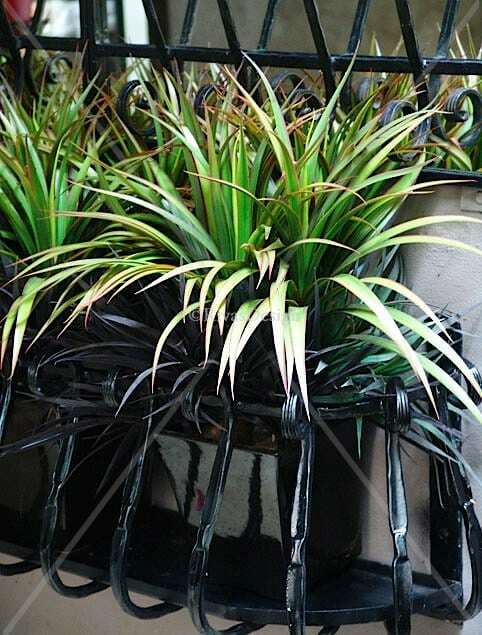 When you fill this with seasonal plants, you get year-round pleasure from their gorgeous foliage. 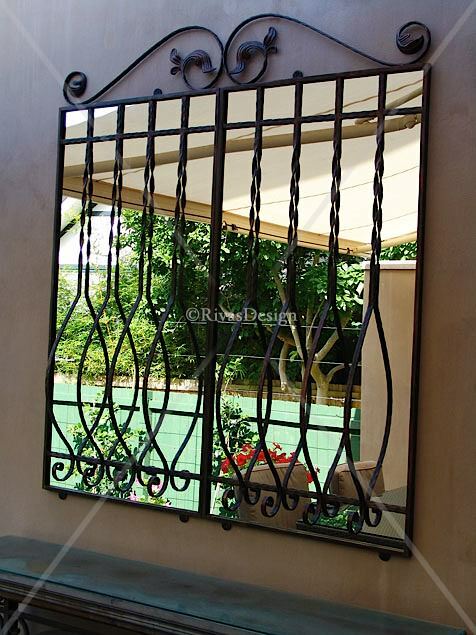 Fully galvanised for outdoor use - complete with glare-free mirror for perfect reflections. 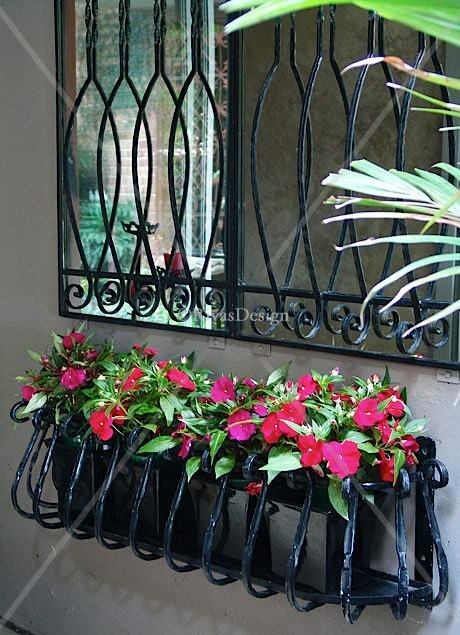 This wrought iron mirror and planter are available finished in black or black brushed with copper.